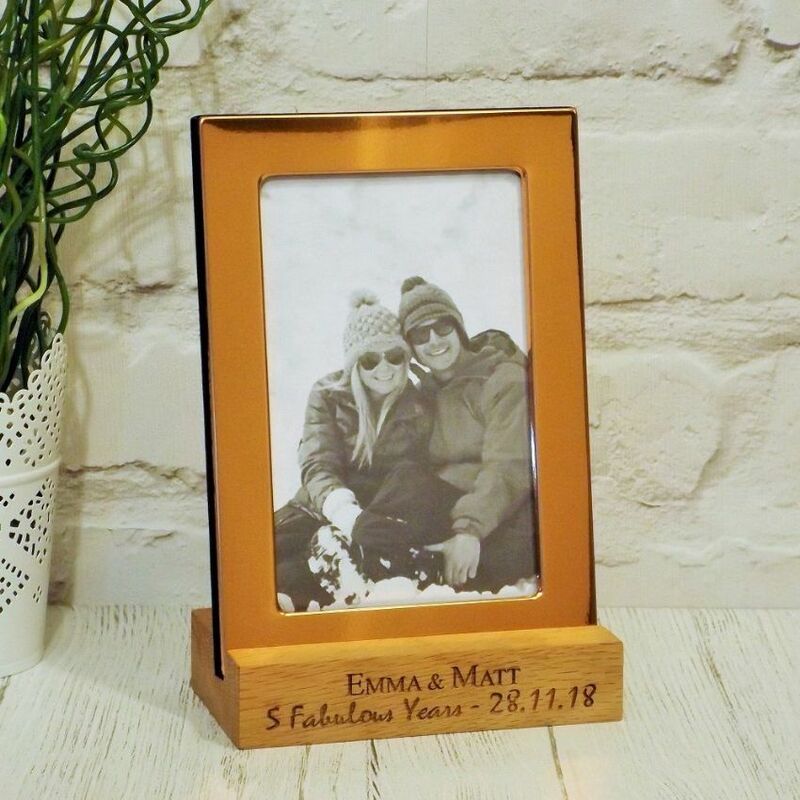 This copper plated photo frame comes with a handcrafted personalised solid oak base, designed and made in our New Forest workshop in the UK. The frame neatly slots into a purpose made recess in the oak base, creating a stylish design that is sure to be treasured by the recipients for years to come. Perfect as a Wedding Anniversary gift, particularly a 5th Anniversary, which is traditionally wood. Also great for other occasions or as a gift for someone you love, as we can engrave with the wording of your choice.